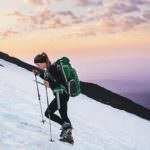 Plan Your TripAsk OregonSnow SportsCan our family fit hiking, dog sledding and skiing into a 6-day trip near Portland? Can our family fit hiking, dog sledding and skiing into a 6-day trip near Portland? If you have a rental car, everything you’ll want to do will be easy! There are a ton of great, kid and adult friendly hikes around the area that I’m sure you’ll love. There’s also dog-sledding at Mt. Bachelor! It could make a good day/overnight trip to ski at Mt. Bachelor and then do a dog-sled tour in the backcountry. Also, would you like to soak in some natural hot springs? If you need any rentals or gear for any of the adventures you’ll go on, I’d highly, highly recommend stopping into the Mountain Shop in Portland. They’re the oldest (and greatest, in my opinion) gear shop in the country. Have the best time in Oregon!